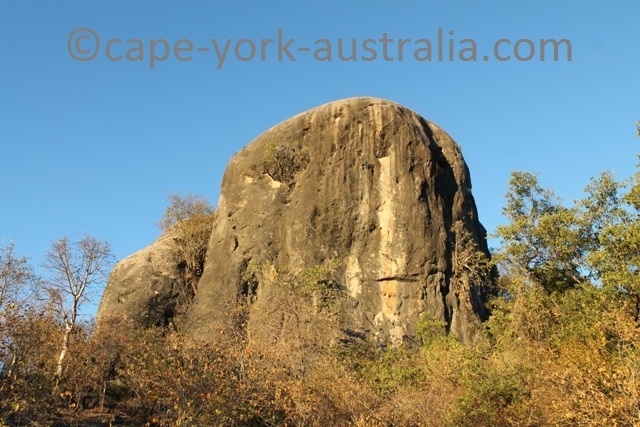 Chillagoe is a great small outback town to visit. 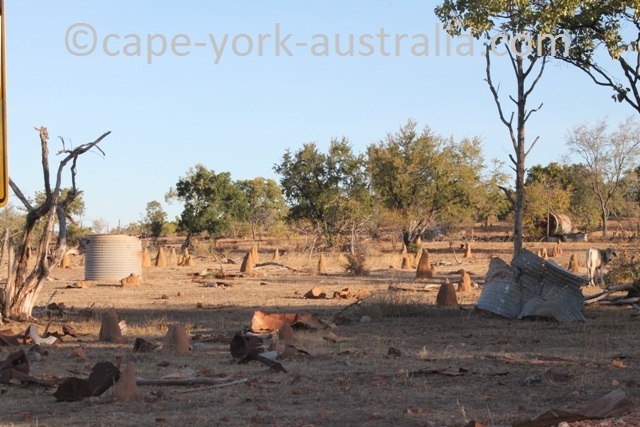 It is only a couple of hours from Cairns, but in a world completely different. 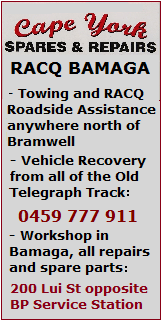 It must be one of the quickest trips in Australia to get from a city to the real outback. 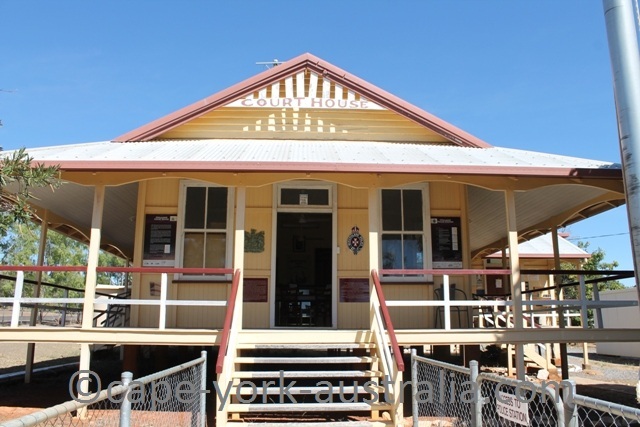 ... you come to the Hub which is the town's tourist information centre. 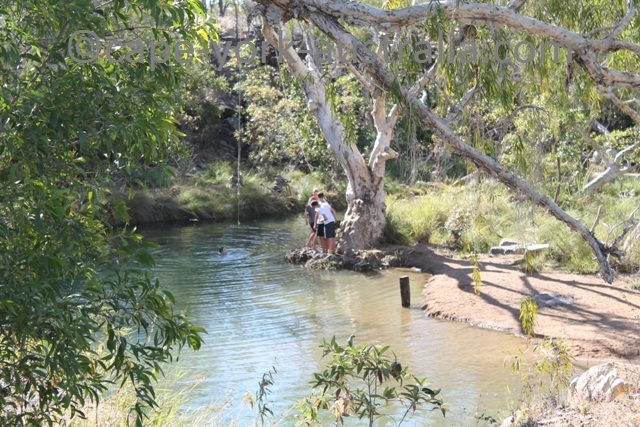 ... there is a swimming hole (actually a few). 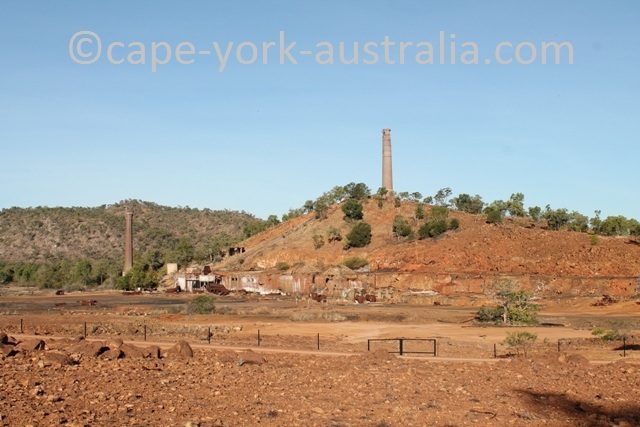 ... and its history - more than anything the mining history. 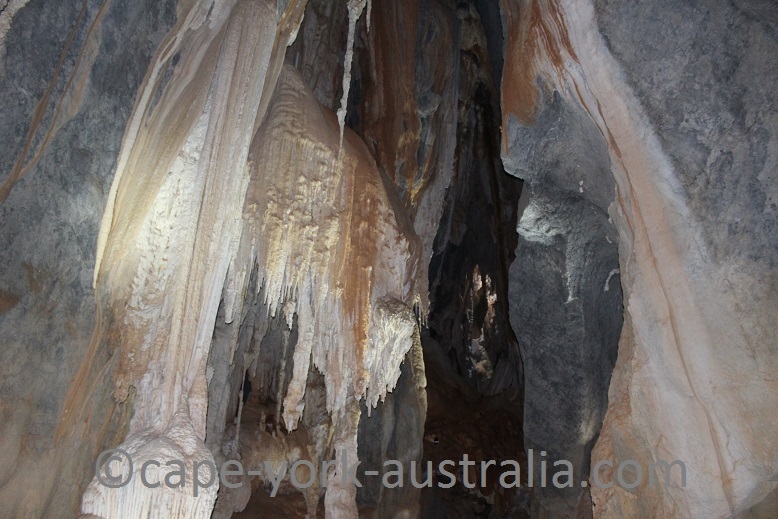 ... and the famous Chillagoe Caves. 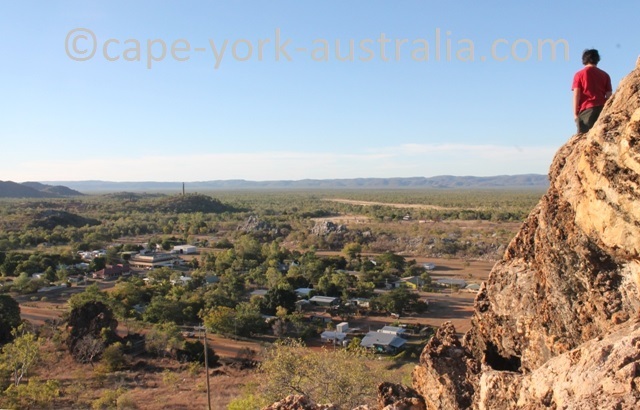 There is quite a lot for the size of the town, and it all comes with some good outback character. 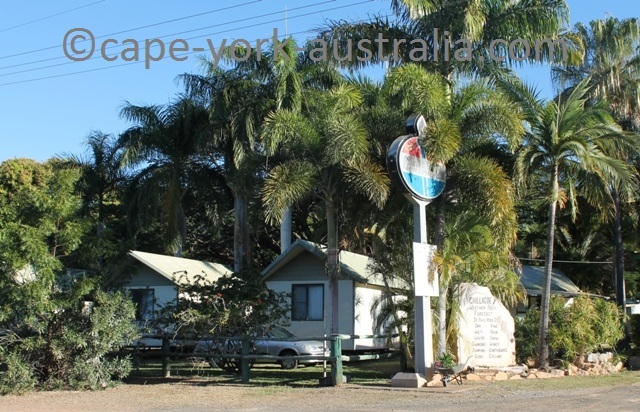 This tourist village is in the main street and has a caravan park as well as six self contained units with fridges and TVs (four are family units with a kitchen, a queen size bed and two singles; two are studio apartments with tea and coffee making facilities - one with a single bed and the other with a double. 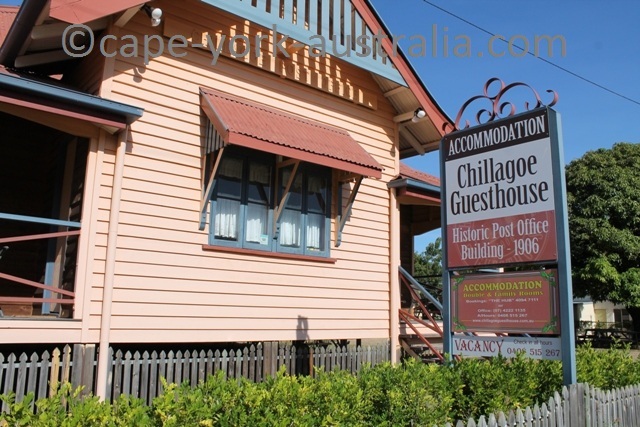 This great accommodation is in a lovely old historical building in the main street. 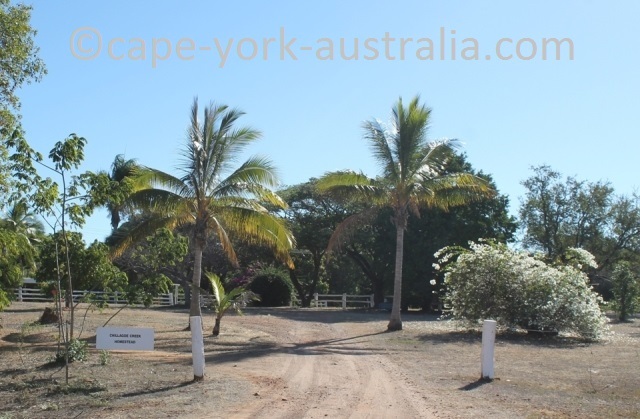 There is a self contained family unit, a deluxe double room with ensuite, a twin room with shared facilities and three double rooms with shared facilities. Complementary breakfast. 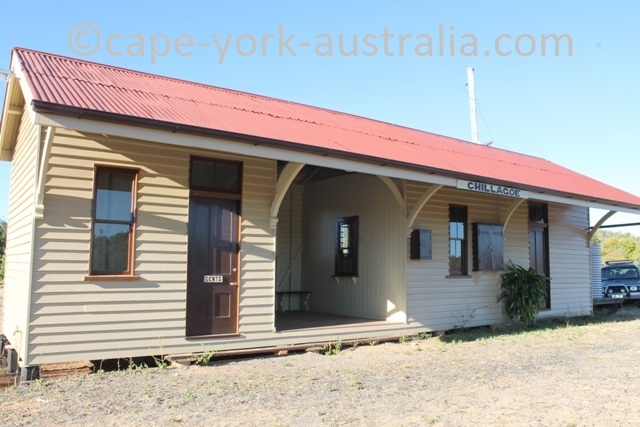 Also in the main street, this lovely accommodation has three cottages themed as old historical miners' huts. 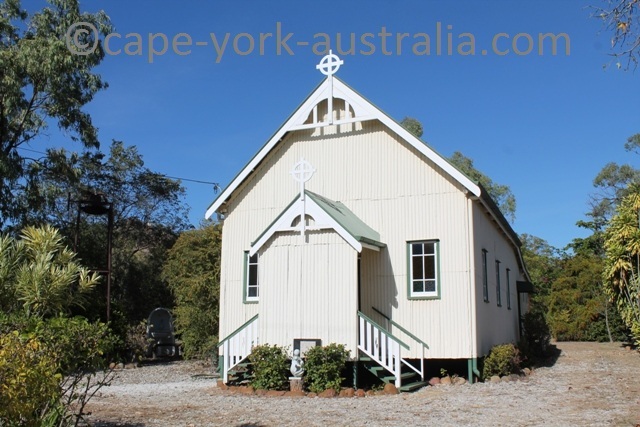 There are two cottages with a double bed and one with twin beds. 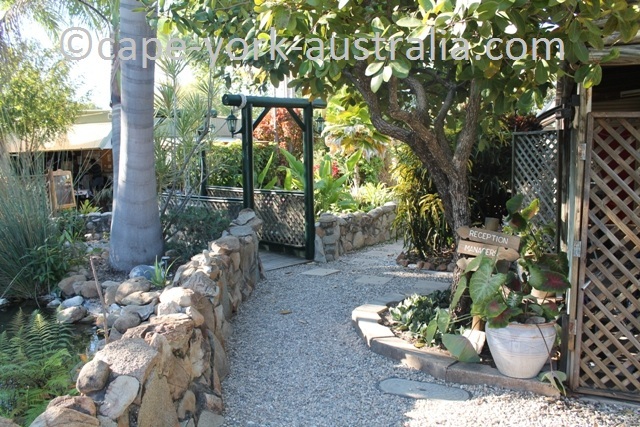 The cottages have kitchenettes, ensuites and private courtyards. 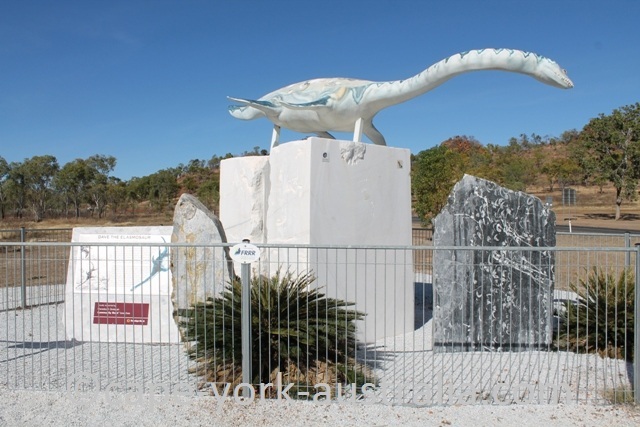 There is also an on site restaurant and tours. 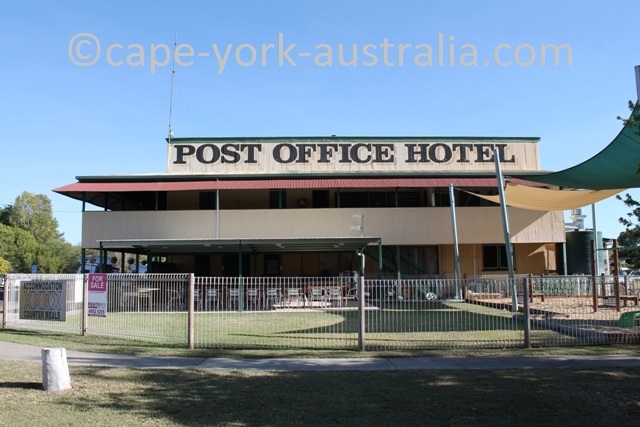 Also in the main street, this is the 'Top pub' in town, and like other Aussie pubs it has a public bar downstairs and hotel rooms upstairs, where you can enjoy the shade of the large verandah. There are single, double and twin share rooms. 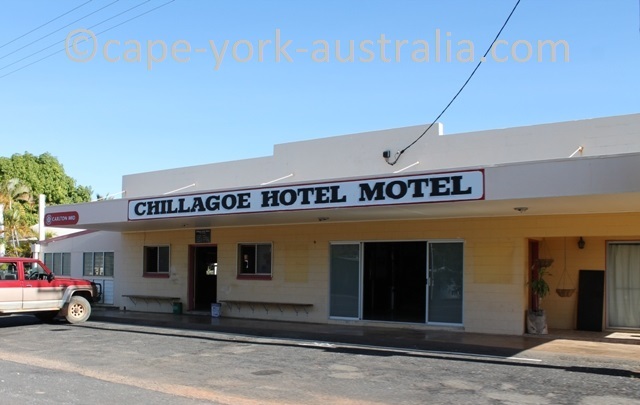 The Chillagoe Hotel Motel is the town's only other pub, also called the bottom pub. One street back from the main street, it is still walking distance to everywhere. 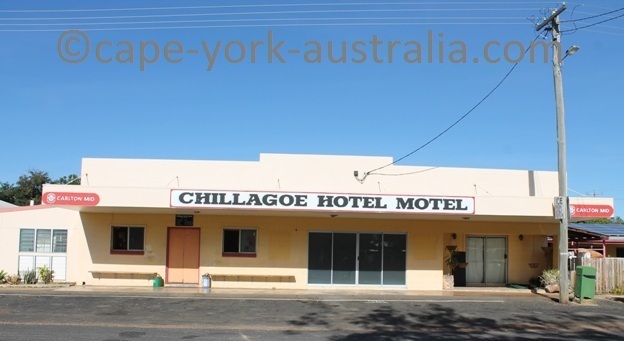 It does not have upstairs hotel rooms, but ensuite motel units. 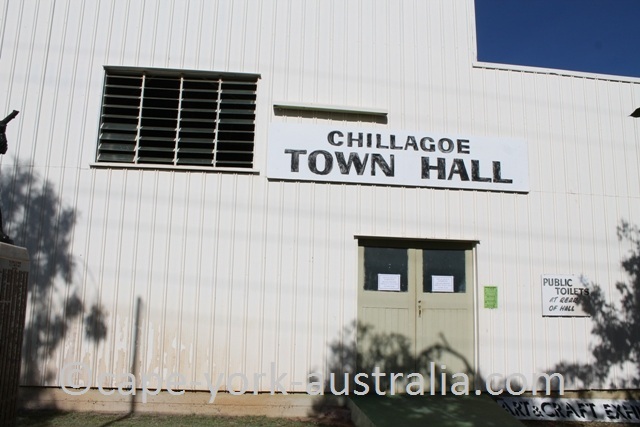 Also one street back form the main street but still walking distance to everywhere in town (in a little place like Chillagoe everything is! 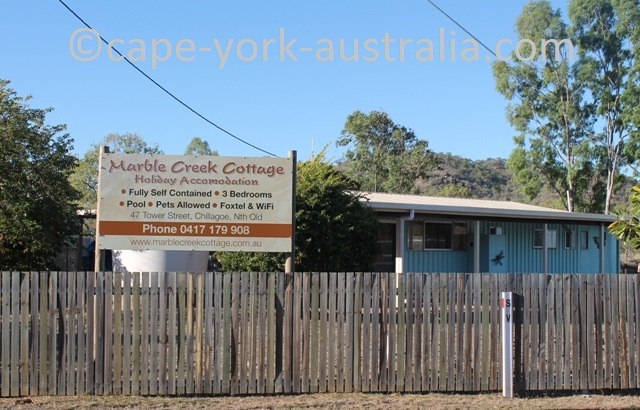 ), this place has three fully self contained bedrooms with WIFI and Foxtel. There is a swimming pool, and pets are allowed. 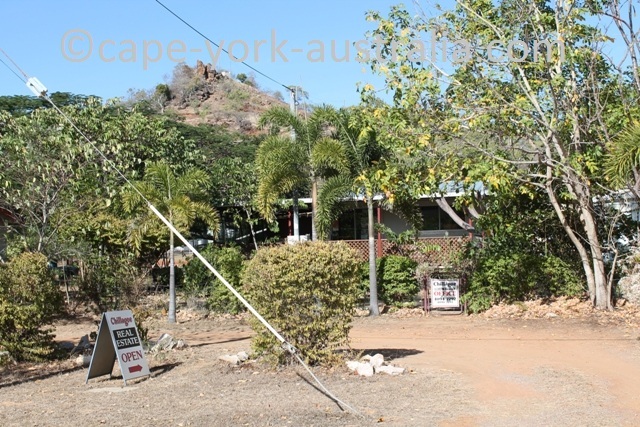 The Observatory Eco Lodge Even further back from the main street but this place is very popular. 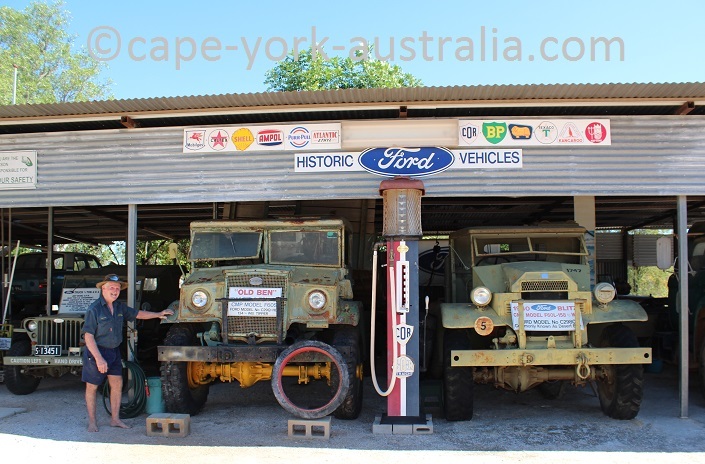 Powered and unpowered camping sites with BBQs and fireplaces; rooms with three single beds; double rooms with ensuites, two-room family units, some have ensuites and some not. 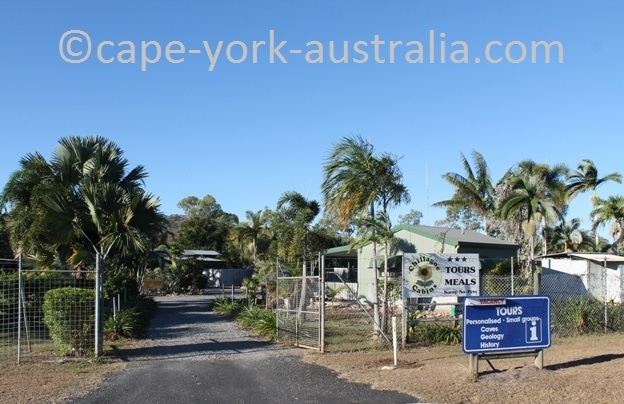 There is an observatory, a pool and an onsite licenced restaurant. 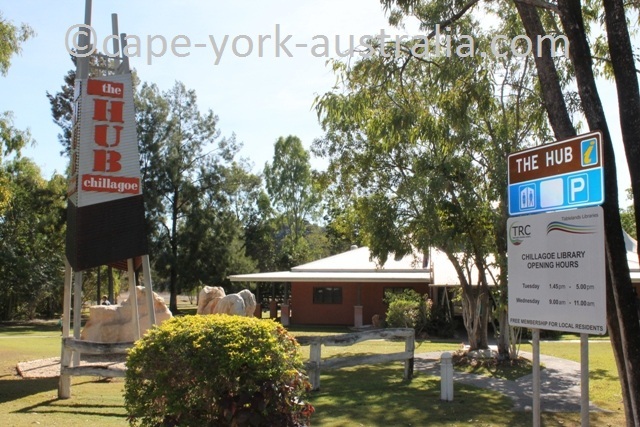 Bit further than the Eco Lodge, this great accommodation is an experience with swimming in Chillagoe Creek, cheap camping, homestead garden setting, hot showers, campfires and woodfired barbeques, a knowledgeable host, a fossil collection and a small reference library, tours available, you sure learn some local stuff. Want to stay longer? Not a bad idea! 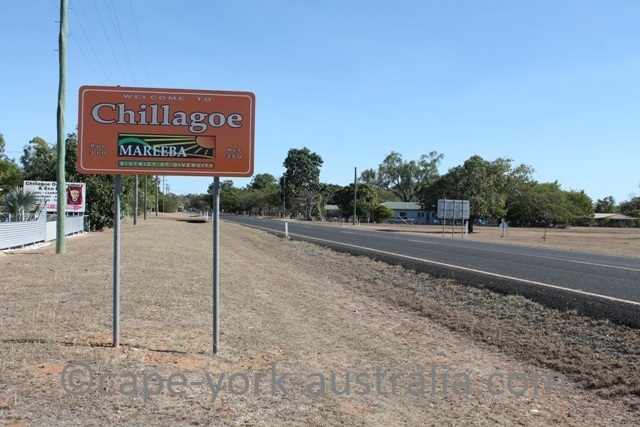 Chillagoe is not a bad place to buy, if you can stay away from the coast and the fishing, and can actually find a job here - the property prices won't exactly disappoint you. 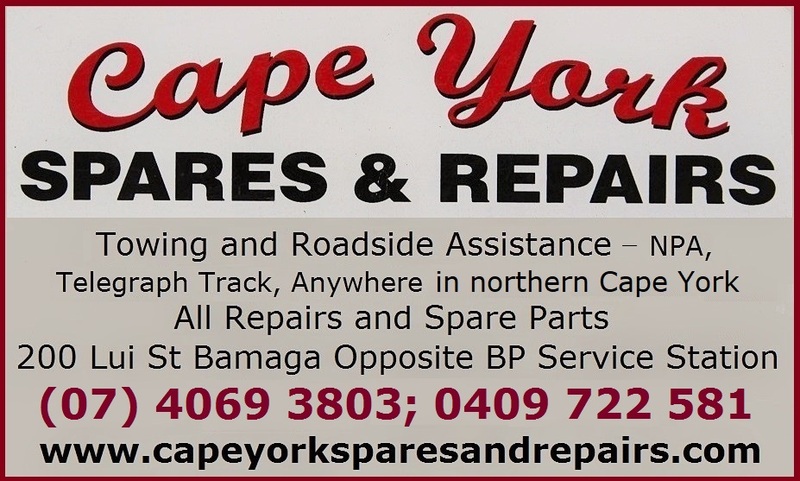 One of the best places to buy in the area this website covers, and a bunch of friendly locals to neighbours. 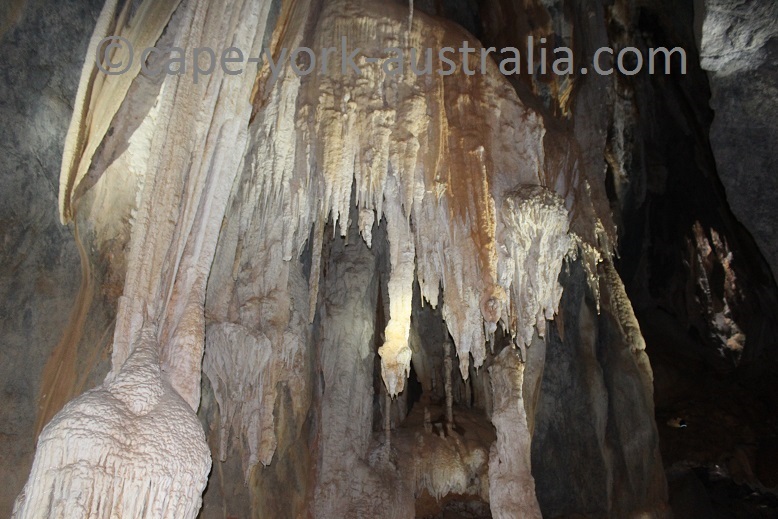 If you are into caves they are some of the best in the country, and even if you are not, you are likely to at least visit this national park while in Chillagoe. 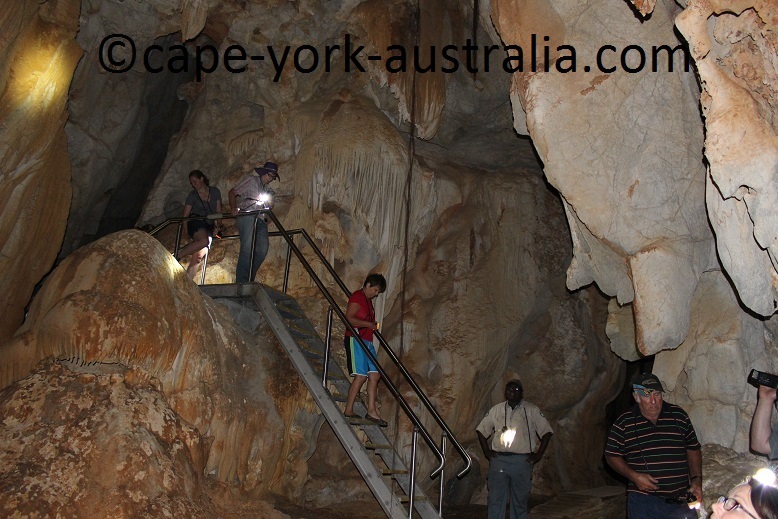 It is well known, it is close to the town, and there are more things than just the caves. 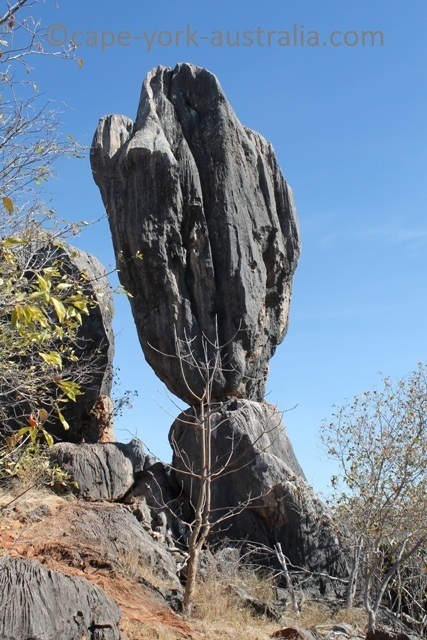 It is all thanks to limestone - the most usual rock in the Chillagoe country, left behind by ancient coral reefs from about 400 million years ago when the area was in the bottom of the ocean. 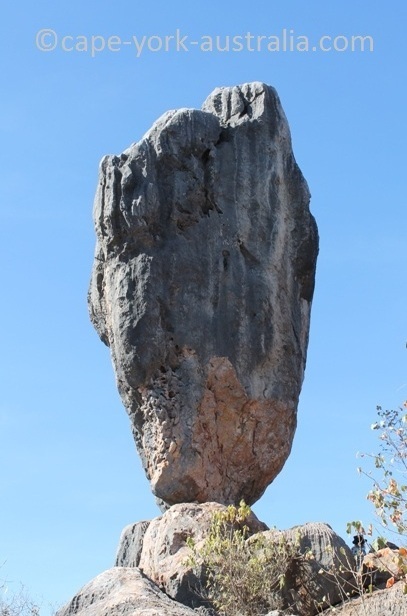 Limestone is a rock that easily reacts to acids. 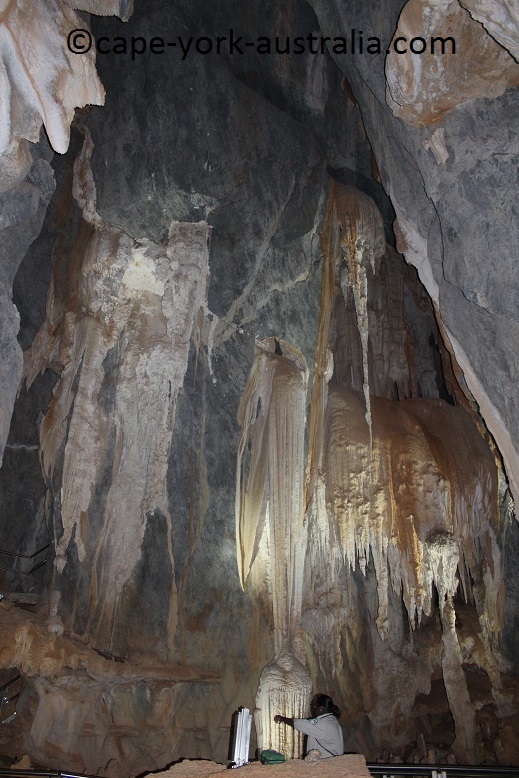 So when it rains, the rain water and carbon dioxide form a weak acid that erodes limestone, forming caves and bluffs like those found around here. 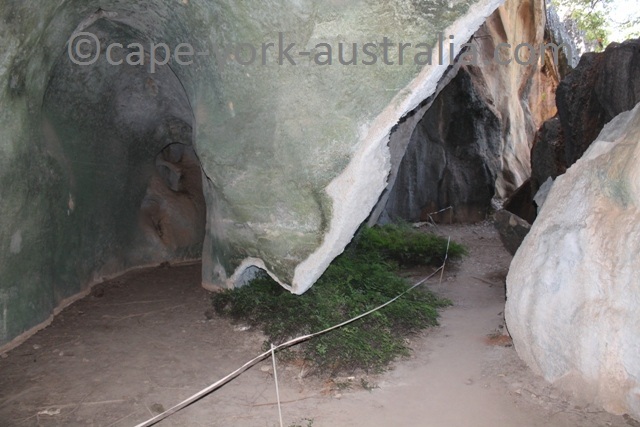 So first, there are the caves, and there is a group of four closest to the town. 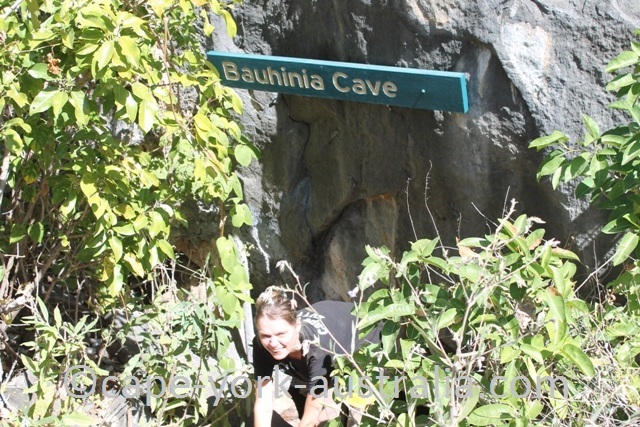 Bauhinia and Pompeii you can do without a guide. 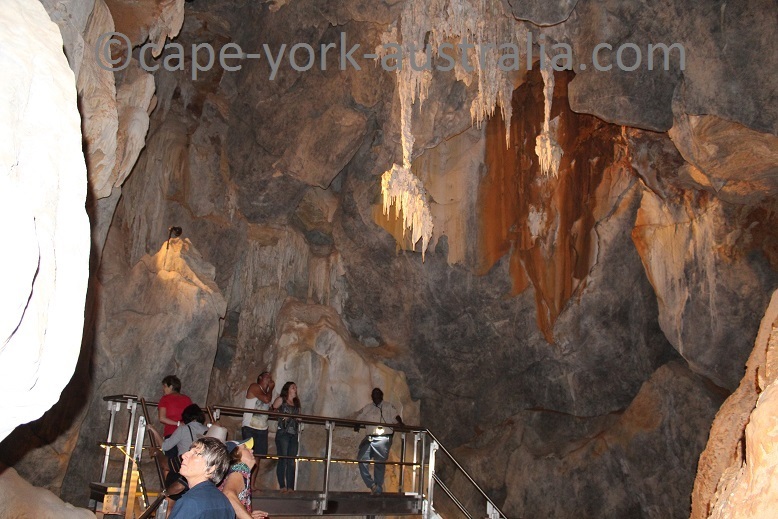 Pompeii is quite large and easy inside, while Bauhinia is small, steep and not as easy. 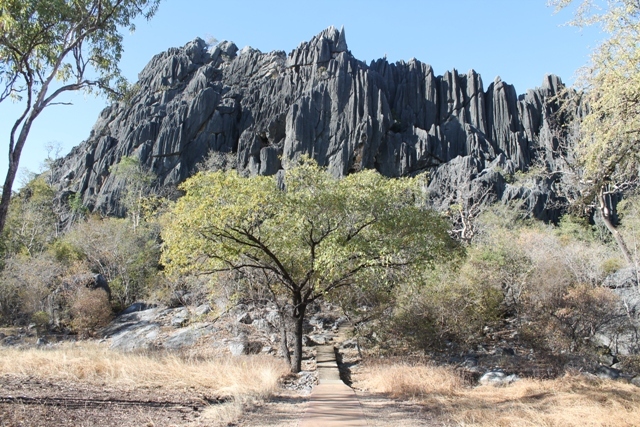 Donna and Trezkinn you can only visit on guided walks. 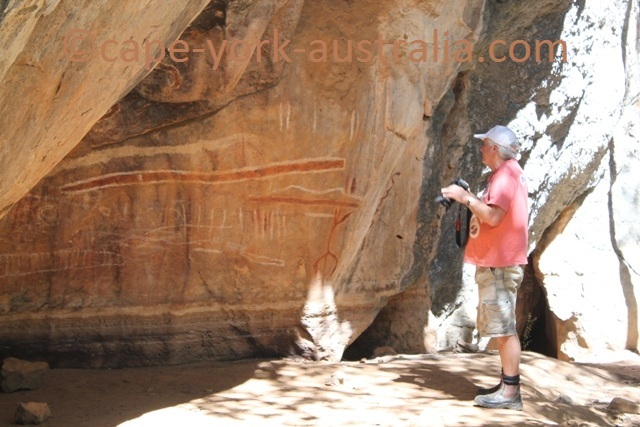 There nowadays are Aboriginal guides so on top of the geology you also get to hear a bit of indigenous. 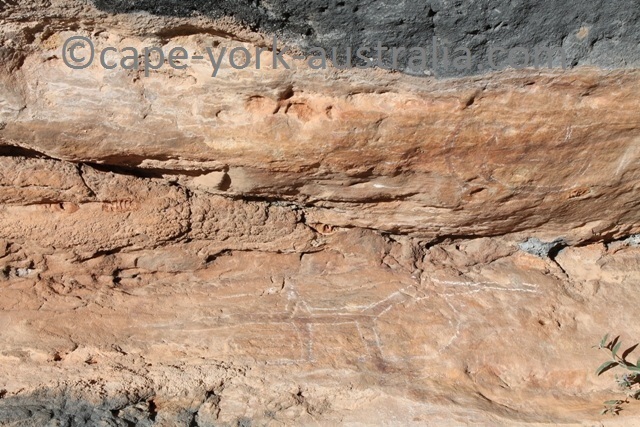 ... and the Wullumba Aboriginal rock art site. 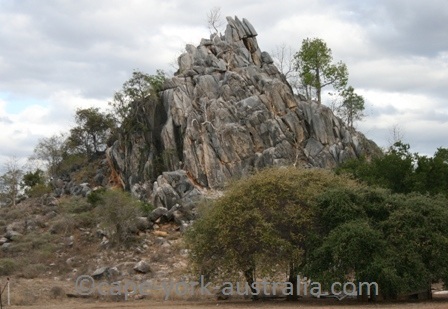 The above was all there is close to the town in the Chillagoe Caves National Park. 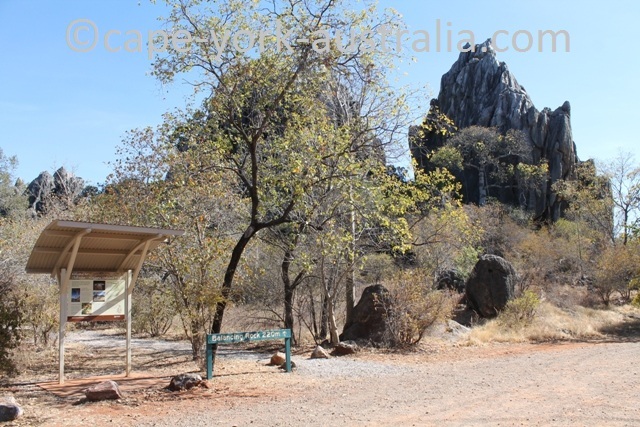 Further south, you can either walk or drive, is the Royal Arch - also only doable with a guide. ... at least out of the ones you can do without a guide. 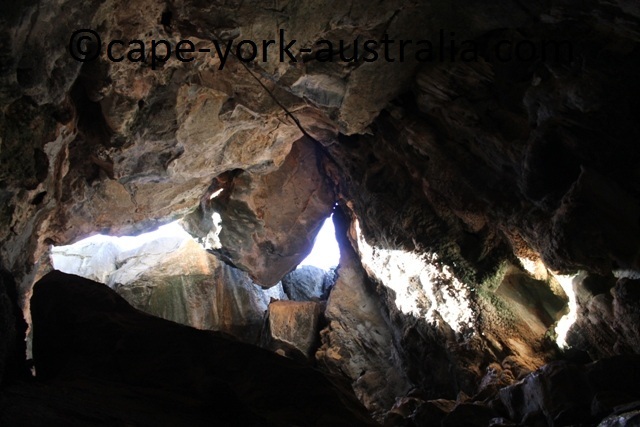 You can easily drive past it without noticing, except there are the signs to the mine, the old township, and stocking yards. 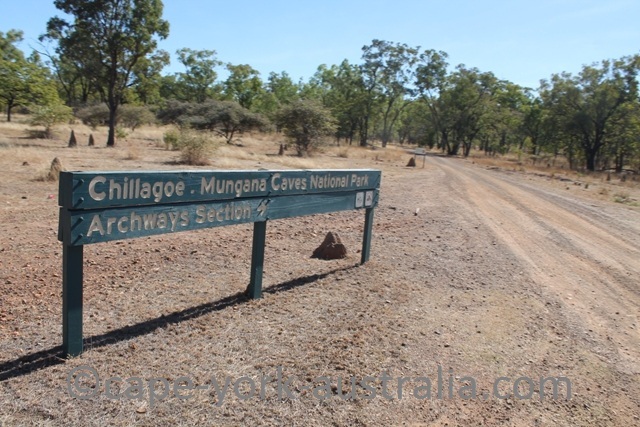 What there is for travellers apart from the old township, is also a rock art site, an old cemetery, and the Archways - one of the best Chillagoe - Mungana caves. 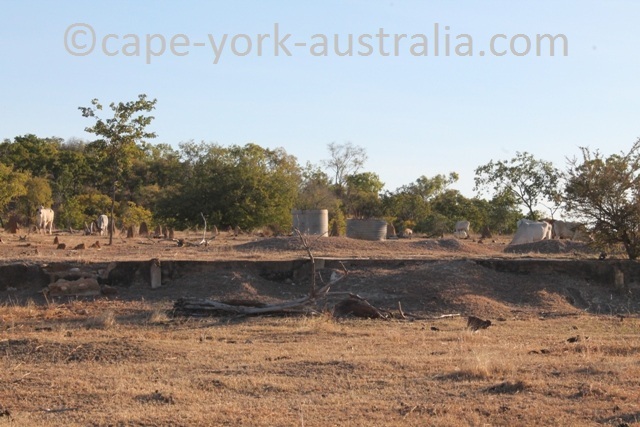 It is quite an interesting historical site where you can still see the ruins and some old foundations. 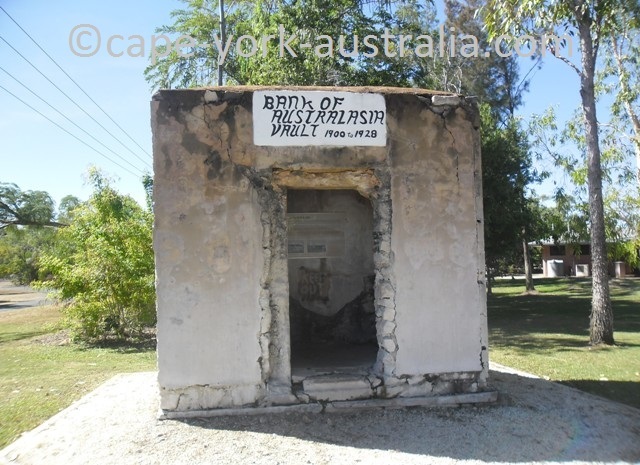 The tent town was established in the late 1800s for workers of Lady Jane and Girofla mines. 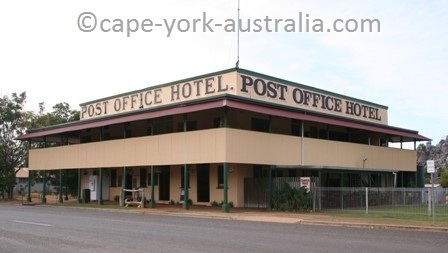 Later came four pubs, a post office, a shop, in 1897 smelters were built, and in 1901 the railway line was extended until here (which came to service more mines including OK as far as 75km away). 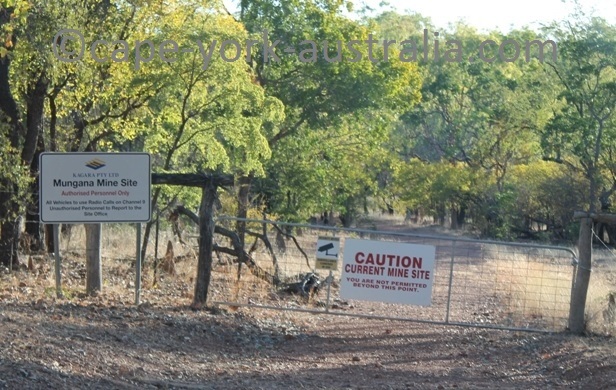 The mines produced copper, lead, silver and limestone, and once the mining declined, some properties were sold to the Queensland government in the infamous "Mungana Affair". 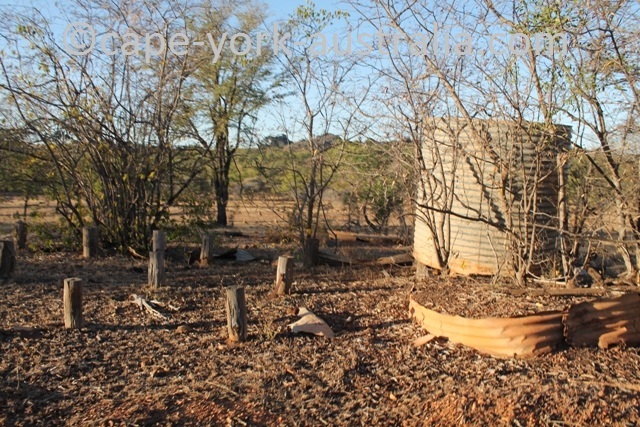 In the early 2000s gold was found by Kagara Zinc Ltd, and the new mine is still here, now (2014) owned by Mungana Gold Mines. 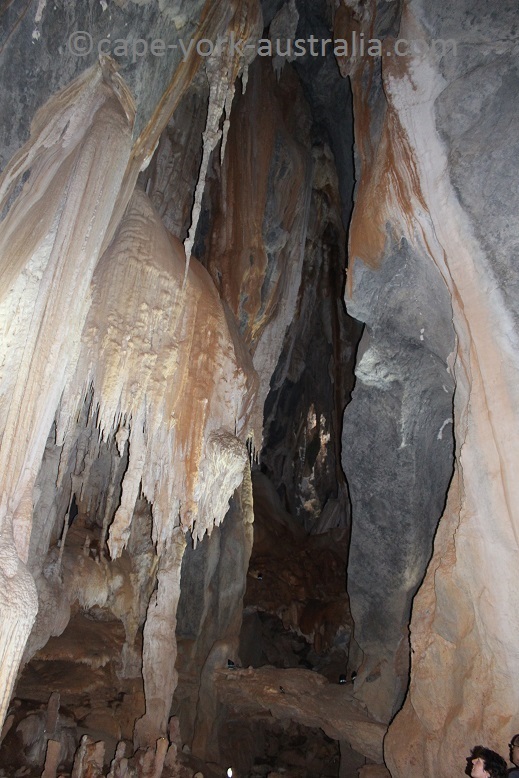 ... and the Archways - one of the Chillagoe-Mungana caves, and one of the better ones of them. 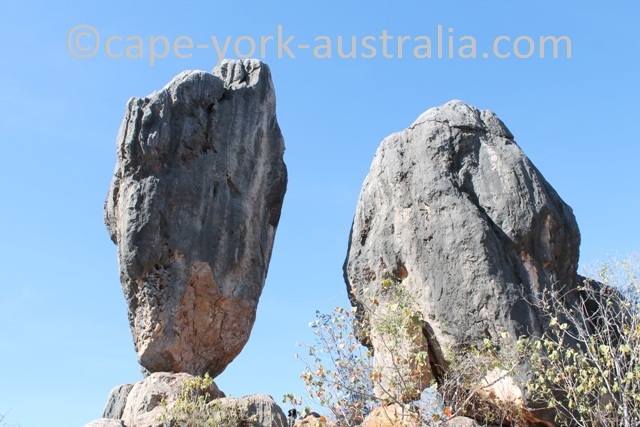 You can do them yourself, you don't need a guided tour, and they are easy to do, but still spectacular.